It’s September and we’ve got a bit of a tradition going in our household. For the last three years we’ve tried to play a game every day in September. 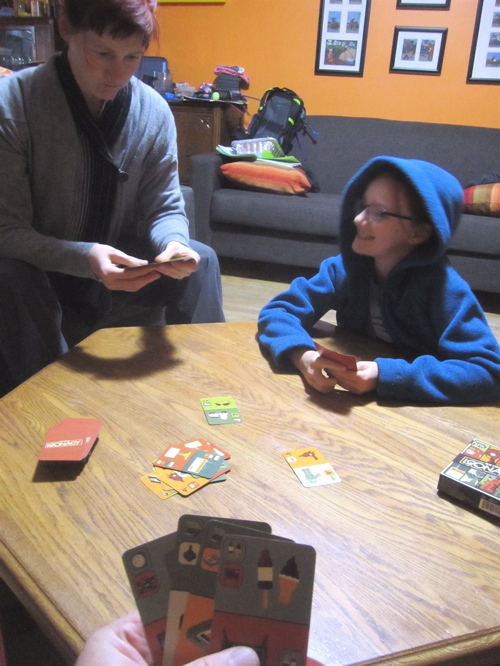 The first year it was any game – so we had a lot of recurring short games played just before bedtime. Last year we changed it to a DIFFERENT game every day for the month - 30 games in 30 days. This year we are doing the same. 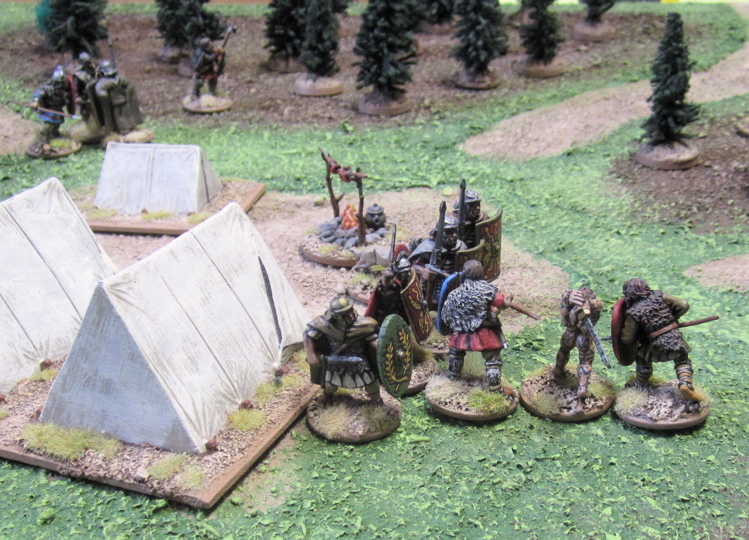 I had hoped to start the month off with Broken Legions, but after getting it all set up we ended up not having enough time to play. 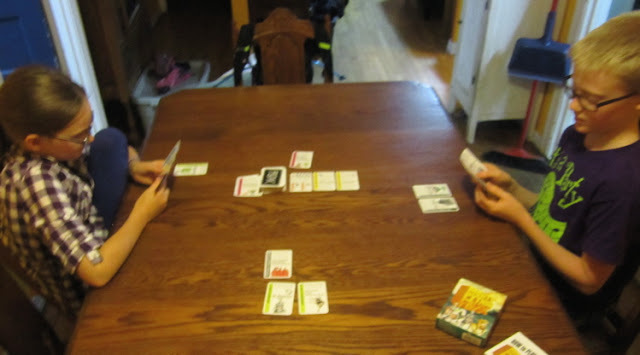 Instead we played a quick game of Monty Python Fluxx. 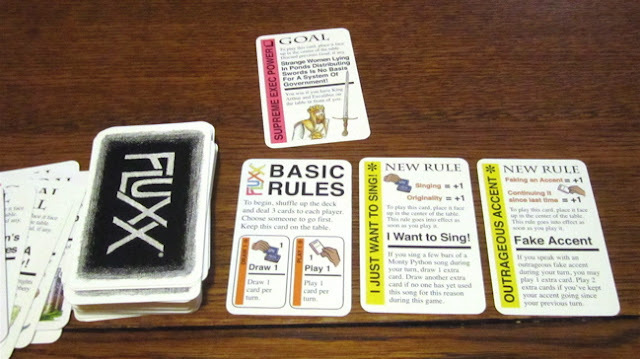 I think this is my favourite of the Fluxx games – the theme really fits the silly, chaotic nature of the game. Amanda hates it. Moslty because she hasn’t seen much Monty Python and just doesn’t get it. Two of Amanda’s least favourite cards. Luckily she wasn’t around for the game. 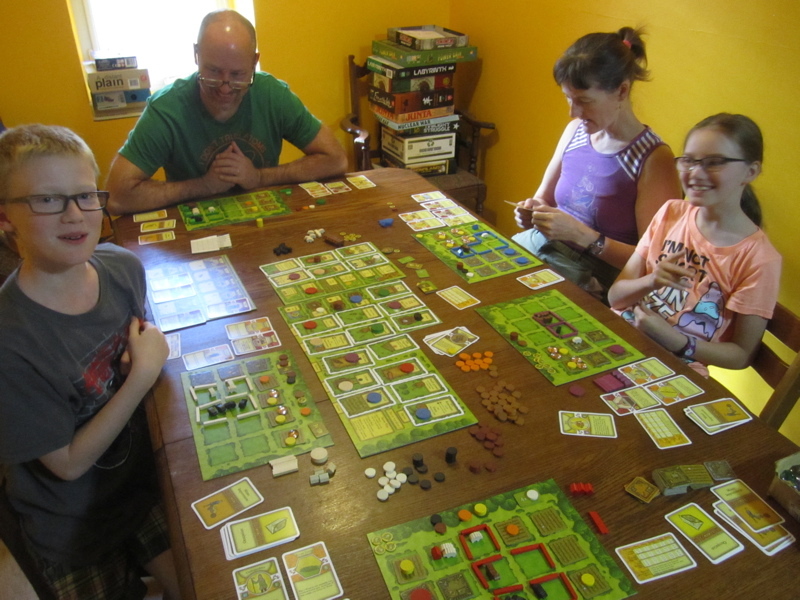 Our friend Brent came over to play Agricola with us. I really like the five-player game. Had way more fun at this than the last couple games. Amanda still crushed us all… but it was still super fun. I say SHE should take over the gardening in our yard, she’s clearly got the theory down. 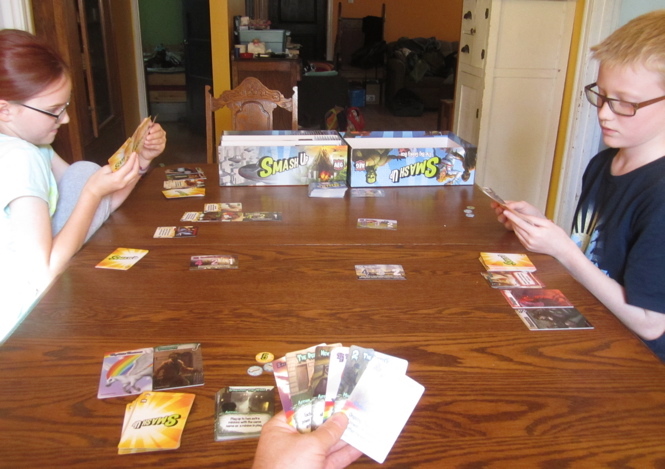 A Quick game of Race for the Galaxy before we sat down and watched The Martian – which I’d picked up at the library the day before. This is a favourite of ours. Probably because you kind of just do your own thing and then count up your points when someone triggers the end game. There isn’t a lot of messing with each other. …and then we got in a game of Power Grid. They weren’t played with the family, so they don’t really count… but I played them. 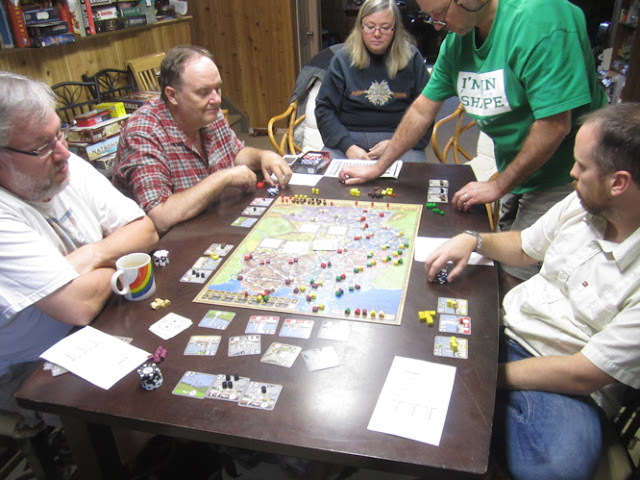 They were fun… Railways and Power Grid are on my list of games to play this month - so hopefully I'll get to have another go at them with the family. The Boy ran his very first role-playing game ever! He actually picked up Star Wars: Edge of the Empire a few months back and was excited about running that for a bit, but then interest sort of trailed off and we got busy doing other things. 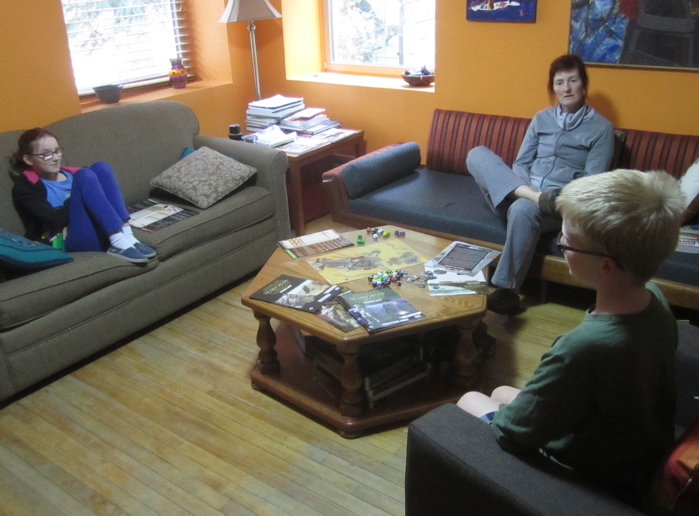 But then when we were at the Sentry Box in Calgary he picked up the Force Awakens Beginner Game set and read through that over the last few weeks and then ran it for us. It went pretty good. So How to get a game in there…? 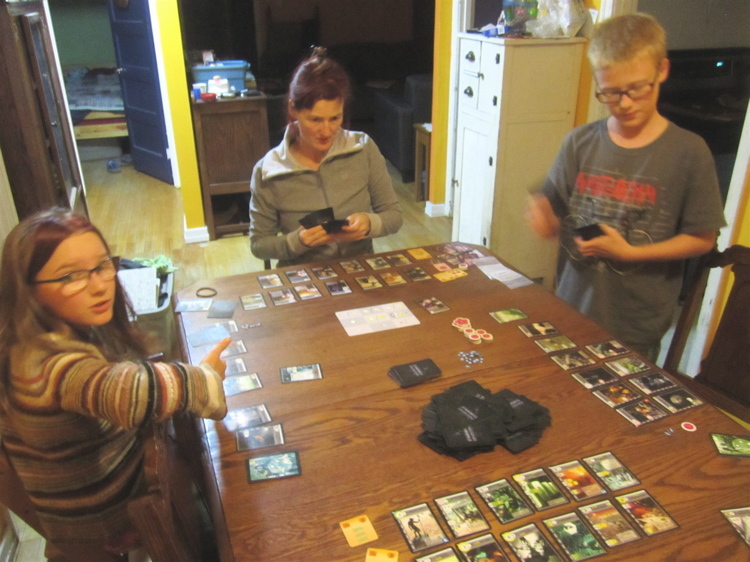 And then I played a few more games with Amanda and The Girl when they got home from Karate…. So… we didn’t all play together… but we did all play the same game on the same day…. I don’t love Smash Up like I used to. The kids still do. So we played it. 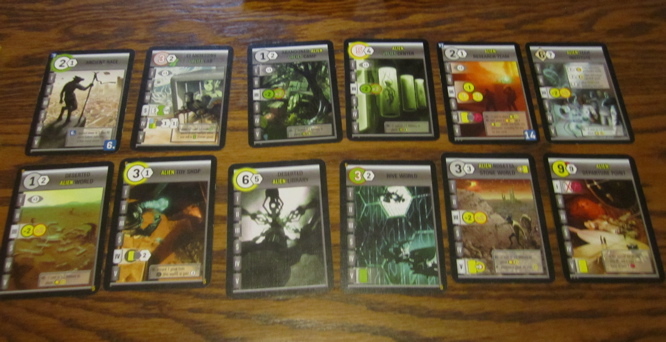 I played Mystical Ponies from Innsmouth. They worked out pretty good. 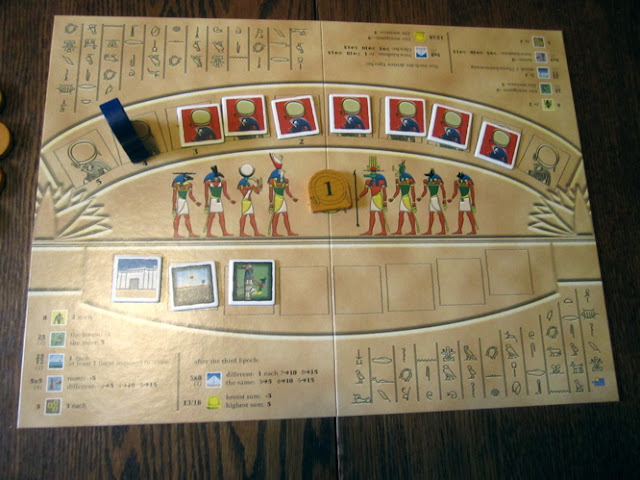 Finally we played Ra this afternoon. 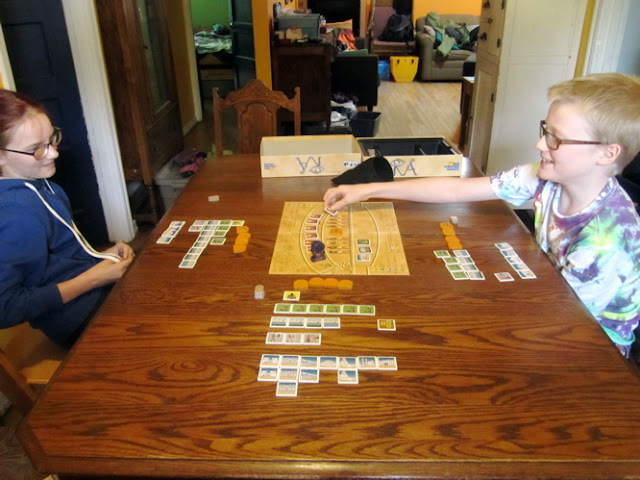 WE actually played this at the tail end of August and it turned out remarkably the same last The Girl and I were within points of each other (50+/-) and The Boy had half as many points as us (~20)?! Surprisingly, no one bid on this second last auction of the game… I can’t figure out why…?! Just finishing up some more Great War Canadians – should have pictures of them up tomorrow. 30 games in 30 days is a marathon and not for the faint of heart. An enjoyable long distance endeavor, nevertheless. I look forward to seeing what is up next. I'd meant to add our "to Play" list to the post, but forgot. 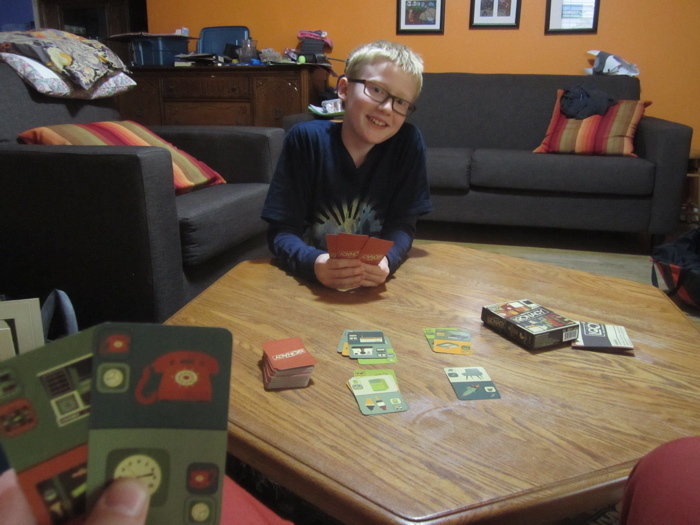 The kids and I each came up with a list of 10 games we hoped to play this month (so we'd each get to play at least a few of the games we've been wanting to play). Ah well... I guess this way it will be more of a surprise! 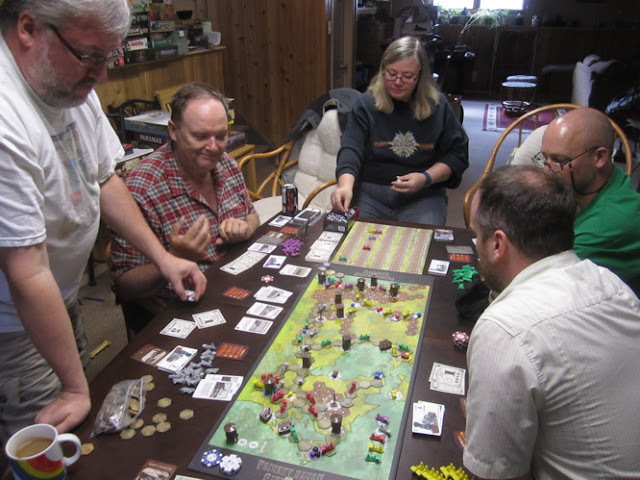 I'm excited we actually got role-playing and miniatures into the mix this year - I think the last two years it was all board and card games.